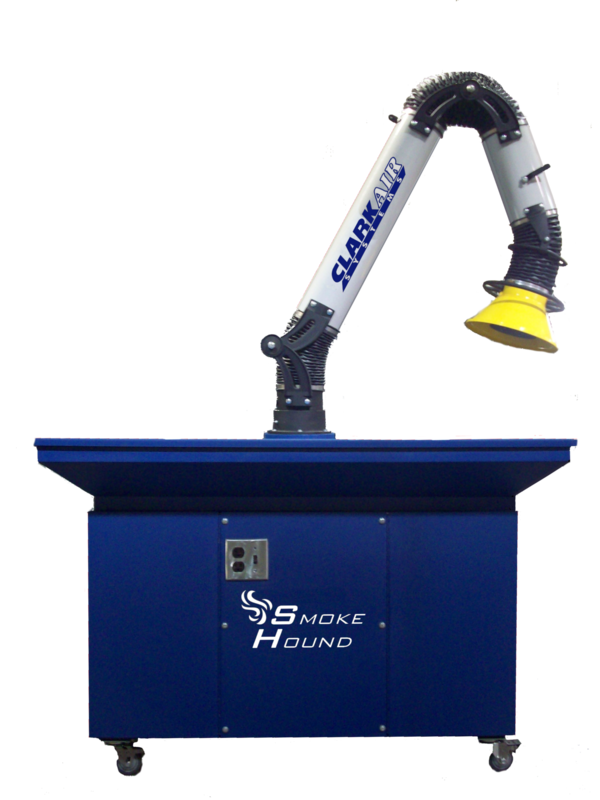 Clark Air Systems Smoke Hound Flip Top model combines the traditional Smoke Hound Down Draft table with the Smoke Hound Arm. 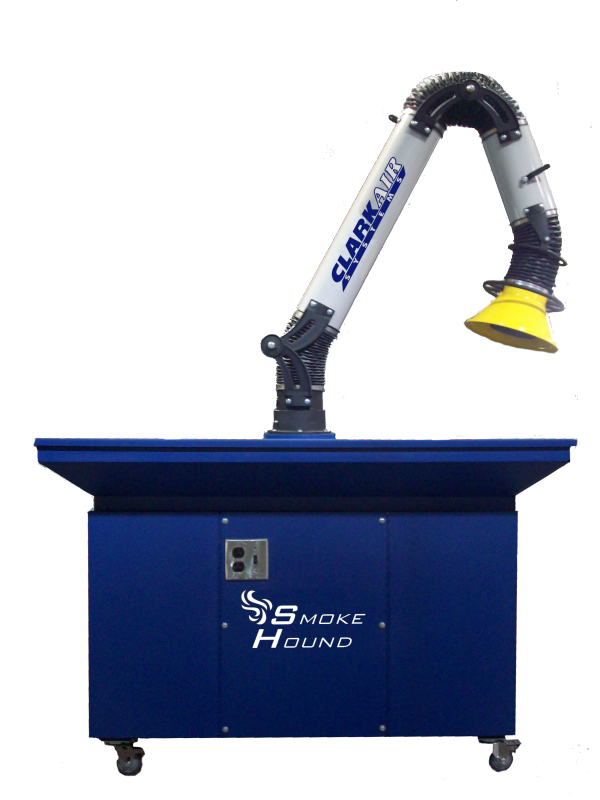 Designed for easy, lightweight, portability, and powerful suction to remove dust and fiber contaminants from welding, cutting, grinding, or removal operations. Highest efficiency removal down to 99.97% at 0.3 micron size particles. Multi-ply, depth loading, pre-filters with tackified media. 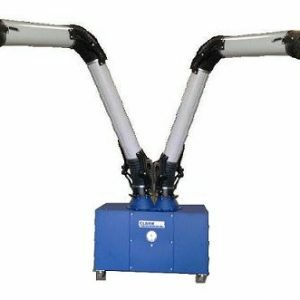 These 45% efficient filters catch the bulk of the particles generated from cutting, grinding, or removal operations. 90-95% ASHRAE efficiency pleated media catches fine dust particles, rated at 95% removal of particles 1 micron or larger. 99.97% DOP certified HEPA filter with gasket seal to meet strictest codes. 99.97% removal of 0.3 micron particles. Replacement of filters periodically. Only a few minutes are required to replace any filter. The frequency depends on conditions. Magnehelic filter gauge is to monitor filter resistance. 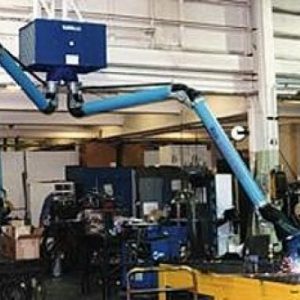 The units are constructed with 16 gauge welded steel. Hinged, gasketed door allows easy access to all stages of filtration. 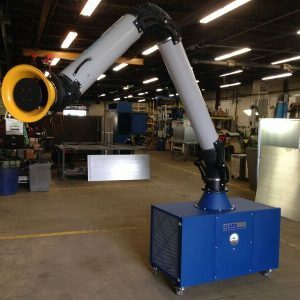 The entire unit is finished with a corrosion resistant baked-on powder coating. The welded steel handles are also powder coated. The unit is portable with industrial grade locking casters.